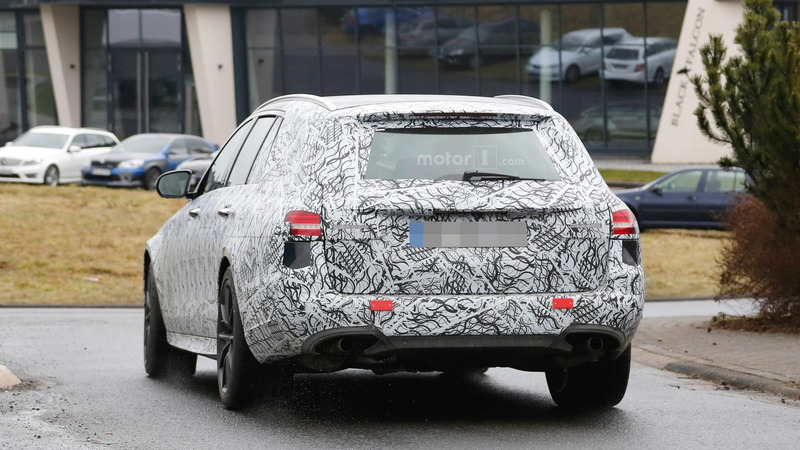 Our Nürburgring spies caught the Mercedes-AMG E63 Sedan, Estate. Comparing the two prototypes, the E63 Sedan appears to be more evolved and closer to the actual product, whereas the E63 Estate still has temporary bits and pieces. This isn’t really a surprise taking into account the regular E Class Estate hasn’t even been revealed yet, so it will take a while until the flagship model will come out to play. Mercedes-AMG has confirmed the E63 Sedan will be out later this year, so we should expect to see the E63 Estate either by the end of 2016 or early 2017. Until then, the standard E Class Estate is pinned for a summer lunch if we were to rely on a report issued by British magazine Autocar. Both AMGs will share a biturbo 4.0-liter V8 engine which is set to churn more power compared to the C63 and AMG GT. We hear that in the E63 it will be massaged to generate somewhere in the region of 550 horsepower and will be topped by the E63 S with around 580 hp. 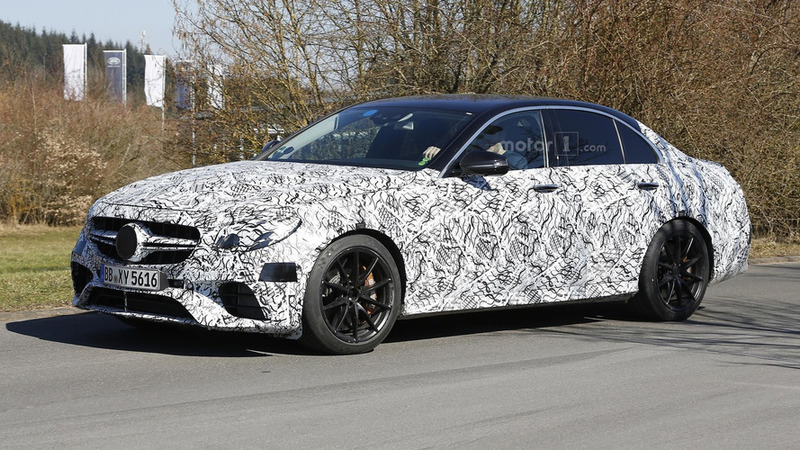 Mercedes-AMG hinted a while back the new E63s could be offered exclusively with an all-wheel-drive 4MATIC setup, so don’t be too surprised if the tail-happy RWD layout will be eliminated. The E63 duo is set to adopt a slightly more aggressive body compared to the warm E43 and will have wider wheel arches, bigger air vents, and a prominent rear diffuser. The sedan prototype paints a more accurate picture of what to expect from the real deal and already we can see it exudes performance. Before the arrival of these two E63s, Mercedes-AMG will introduce the GT-R on June 23 at the Goodwood Festival of Speed. The beefier GT will use an evolution of the biturbo V8 engine and it could give us an idea about the horsepower number we should expect on the E63s.